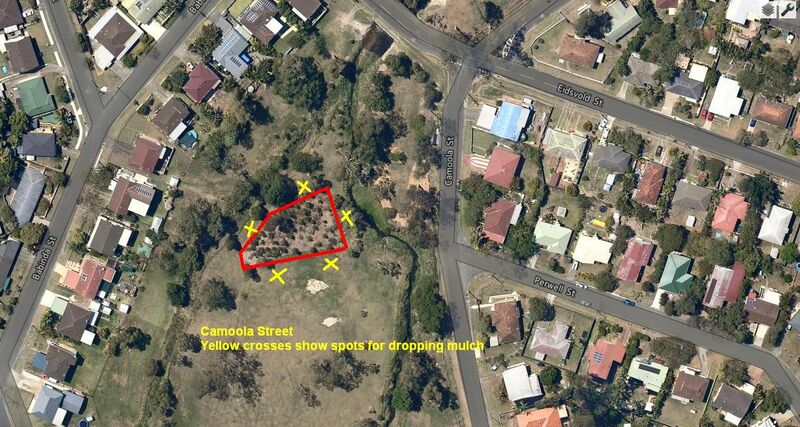 For some years there has been a strong local interest in this parkland that, for its length, mostly parallels Camoola St, Keperra (UBD 137 ref P5). A significantly sized rivulet passes throughout the length of this park; eventuallly crossing Keperra Golf Club to join Kedron Brook near Brook Park. Although this watercourse is relatively weedy, there are plenty of beautiful, well established eucalypts throughout the park. There is a strong potential that this park could be readily enhanced with regard to improvement of wildlife habitat and it's natural beauty for the local community. 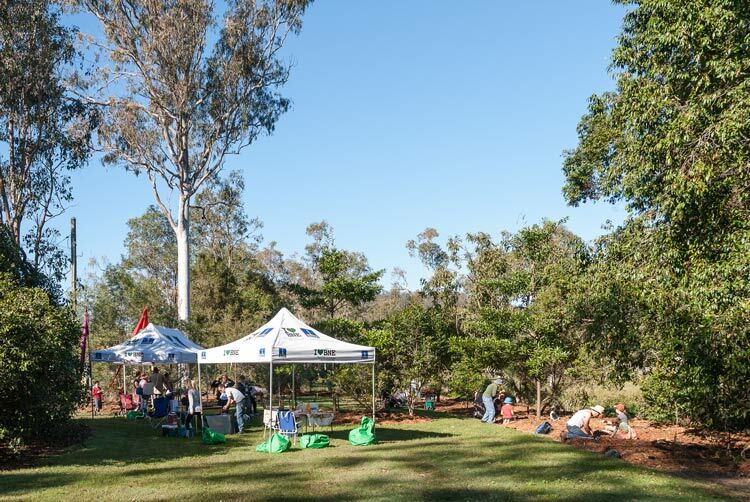 It is therefore timely that Kedron Brook Catchment Branch - WPSQ was successful in 2013 obtaining a grant for $8,000 from the Brisbane City Council to augment and upgrade the native vegetation in this park. On Friday 3 May 2013, a joint group of representatives from Men of the Trees (MOTT), KBCN and local Keperra volunteers met together with BCC staff to discuss the best way to launch this project. The meeting appears to have met the expectations of all present. 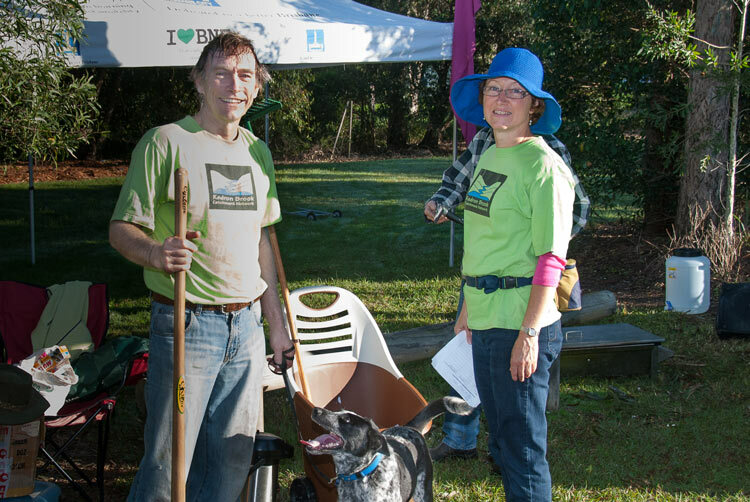 This led to the formation of a local group, in particular, operating with the help of Habitat Brisbane. 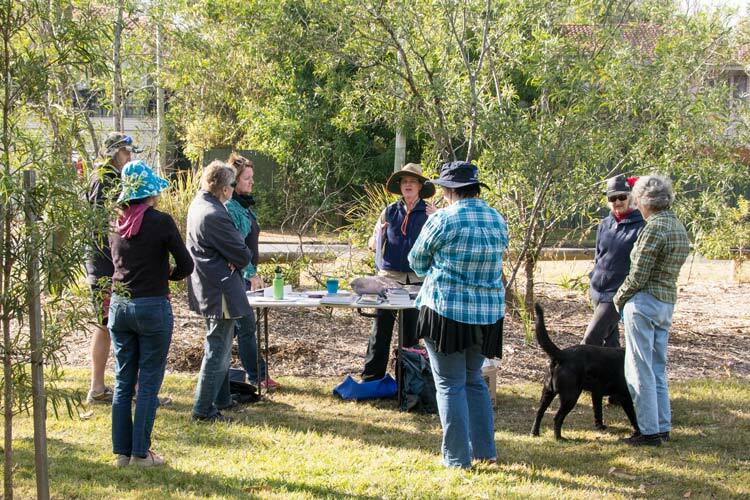 With suitable support from the local community, the group was considered to have a strong potential to become an official Habitat Brisbane Bushcare Group. 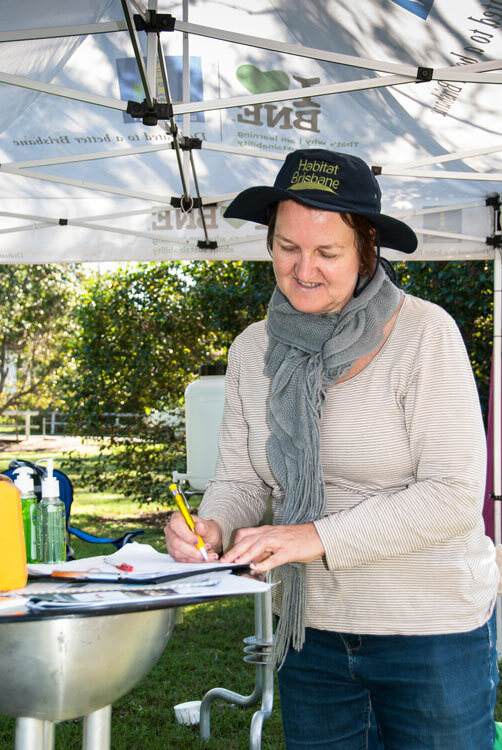 outlines the support available to volunteer organisations prepared to assist with the improvement and maintainance of their bushland and wildlife habitat. (3 May 2013) Contact person, Annie Morris, signs in at the beginning of the planting. Warm but comfortable sunshine greatly enhanced the working conditions at the revegetation project launch conducted at Camoola Street Park, Keperra, on Saturday morning, 13 July 2013. 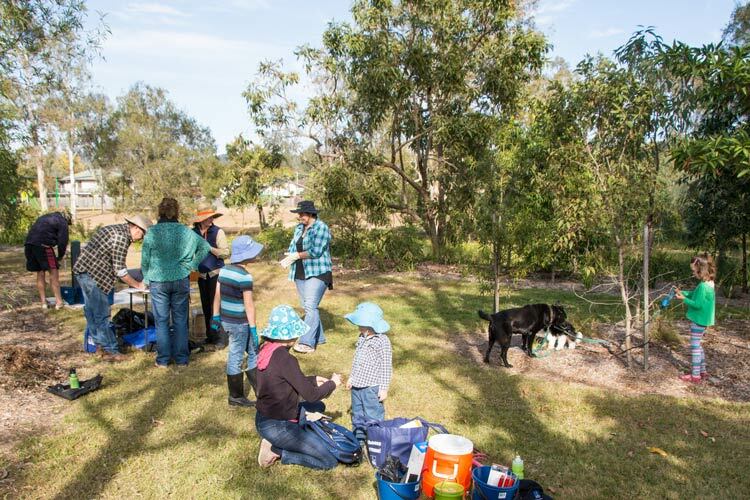 This planting activity was strongly supported by Brisbane City Council represented by Fluer Sanderson from Habitat Brisbane and A/Creek Catchment Officer Jacinta Hamilton. A well-organised group of executive members and general volunteers from Men of the Trees were very supportive of this local community activity and brought much valued planting equipment. Part of the KBCB project funding was used this day mainly to cover the purchase of the plants, preparation of mulched gardens, cost of watering, a mobile toileting facility and hire of BCC support staff at this function. Local contact person, Annie Morris, said she particularly wanted to thank the BCC, KBCB, and the Men of the Trees for their solid assistance. The local community had also supported the planting well; involving their children in the process. 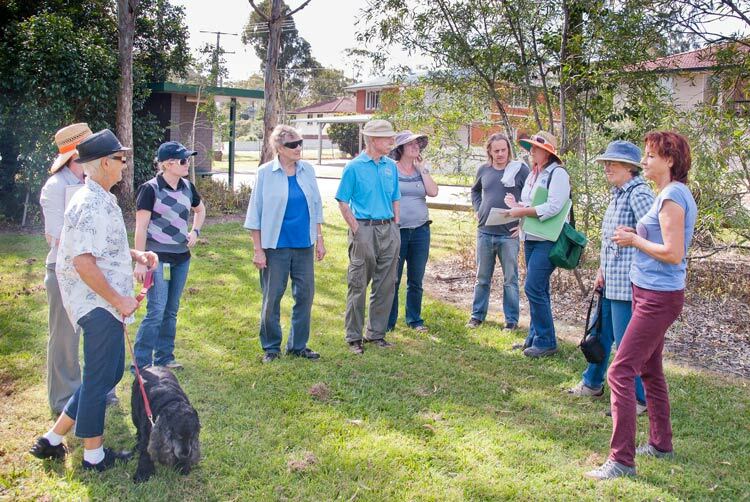 This local group recently worked on a community activity assisted by Men of the Trees (MOTT) at Camoola Street Park on Saturday 26 October 2013 between 8 am to 10 am. The main activity involved the covering of a large area with mulch. Details about the location of and the area of this mulching in the Park can be seen in a small map indicating an area of young trees planted some years ago. Over recent years, this area had suffered from strong winds and some flooding so a significant number of these trees had eroded soil at ground level and were standing awkwardly at various angles. Later work by BCC contractors repaired most of the damage by fixing temporary stays to support the weakest trees from falling over. 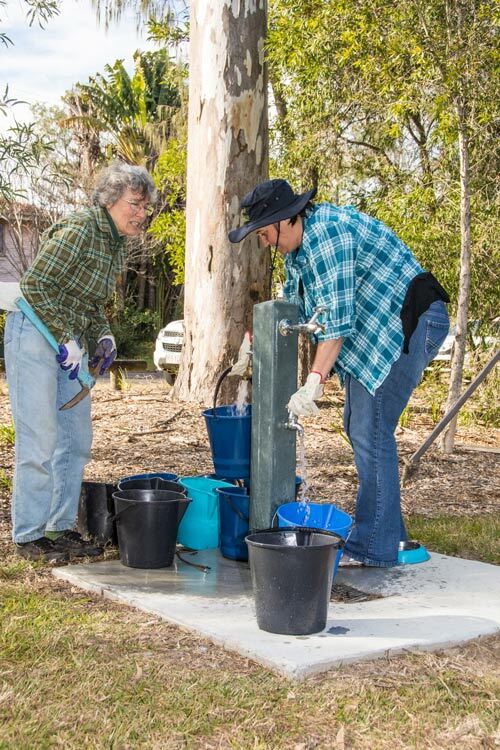 Habitat Brisbane Officer Fleur Sanderson and Marion Goward (MOTT) coordinated the overall activity in support of Annie Morris, local group contact at Keperra, who brought together an enthusuastic group of volunteers from the local community. One particular feature of that morning was the attendance of a significant number of young children assisting their parents. These children beavered away happily and even the youngest had an enjoyable contact with nature. Morning tea followed a swift cleanup after the group ran out of mulch. Even so, virtually all of the trees received adequate mulch close to each tree trunk. 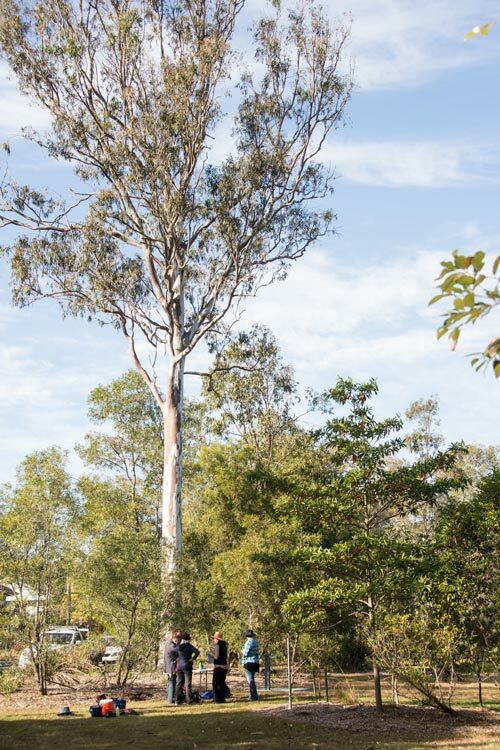 The formation of a Habitat Brisbane Bushcare Group at this site was confirmed by Brisbane City Council in June 2014. 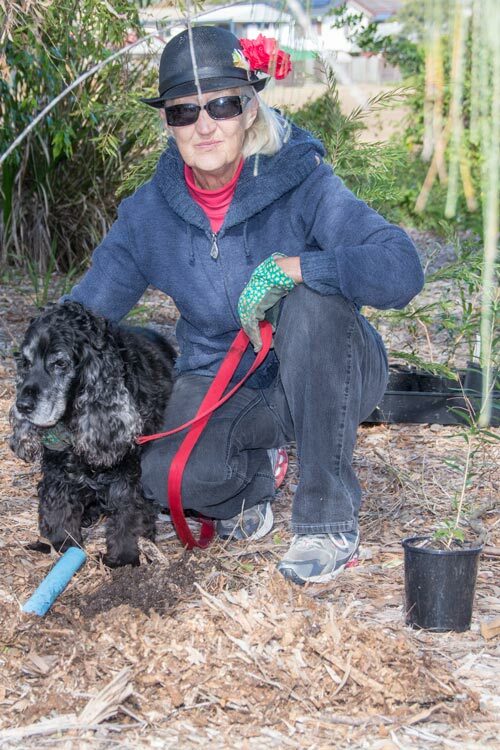 The group's first official revegetation activity was carried out, with Habitat Brisbane Officer Fleur Sanderson's guidance, on Sunday 20th July from 8:30 - 11:30 am at Camoola Street Park. The group was also pleased to have assistance from members of Men of the Trees on this important day. 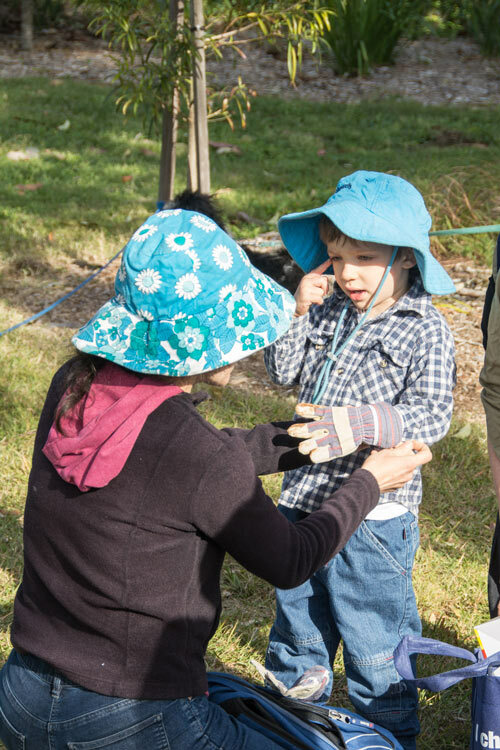 Annie Morris is the contact person for the Camoola Street Bushcare Group. would be pleased to tell you how things are going and how YOU can help. 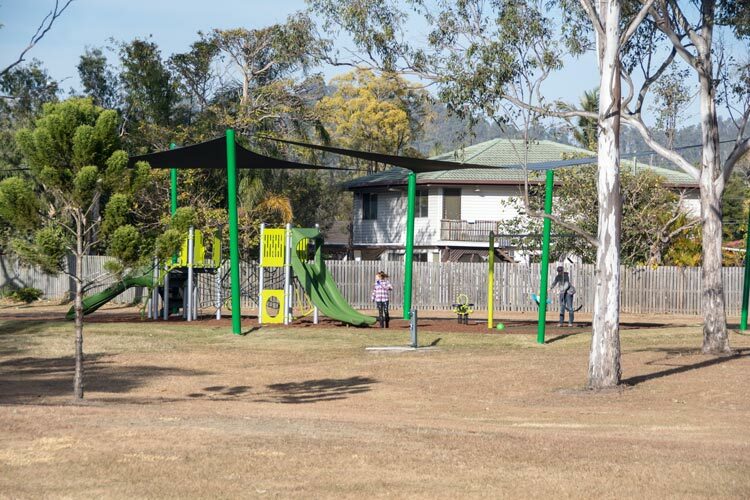 Regular bushcare activities at Camoola Street Park have been held on the third Sunday of the month starting at 8:30 am till 11.00 am. Consideration will be given to choose a more suitable time for local volunteers for the coming year starting in March. Watch the home page of this website for possible changes that might occur due to weather or changes in date.